The Piano Premier Wood Cremation Urn is drawn from the traditions and principles of the Burlini Studios, made with a rich rosewood stain over a hardwood of elm and maple, a unique 10-layer piano lacquer glaze, hand-finished rubbed edges and peaceful accents. 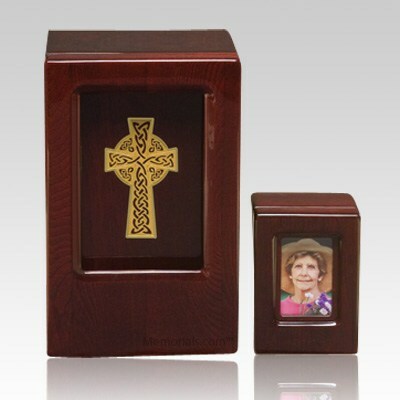 In-front of the urn is a removable photo frame which is designed to hold a 4" x 6" photograph. 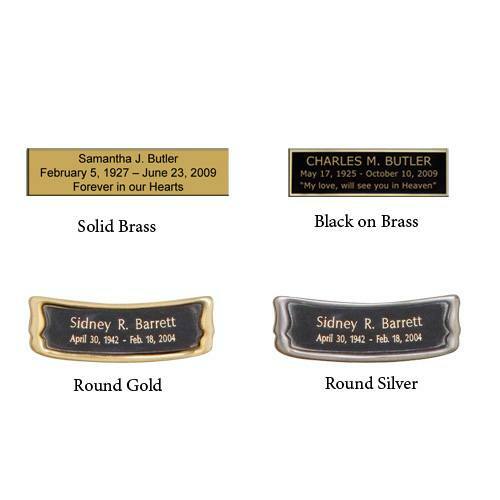 The frame can be displayed next to the urn, it stand on it’s own or attached to the urn. There is a cross that is behind the frame, you can only see it once the frame is removed and displayed next to the urn. Bottom opening panel which attaches with screws. "The angel wings were given to those at my brother’s memorial service who knowingly or not were angels in service to my brother during his losses and his illness."